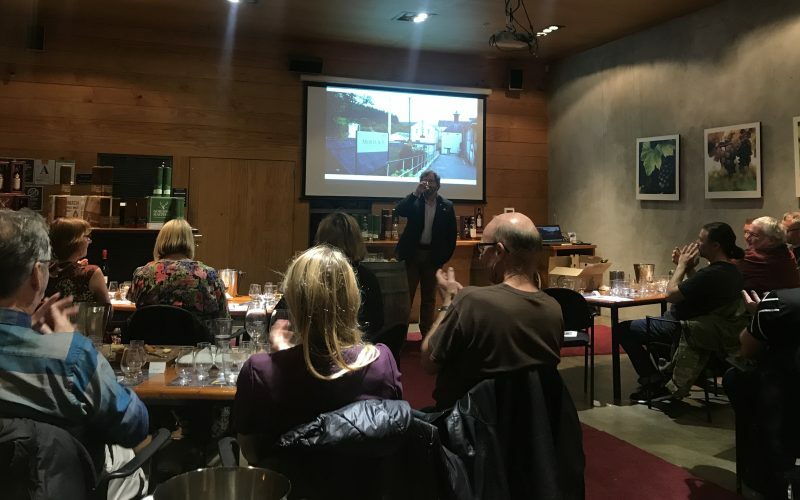 On Wednesday evening our Fine Wine Manager Regan McCaffery, hosted the Annual Great Glengarry Champagne tasting. 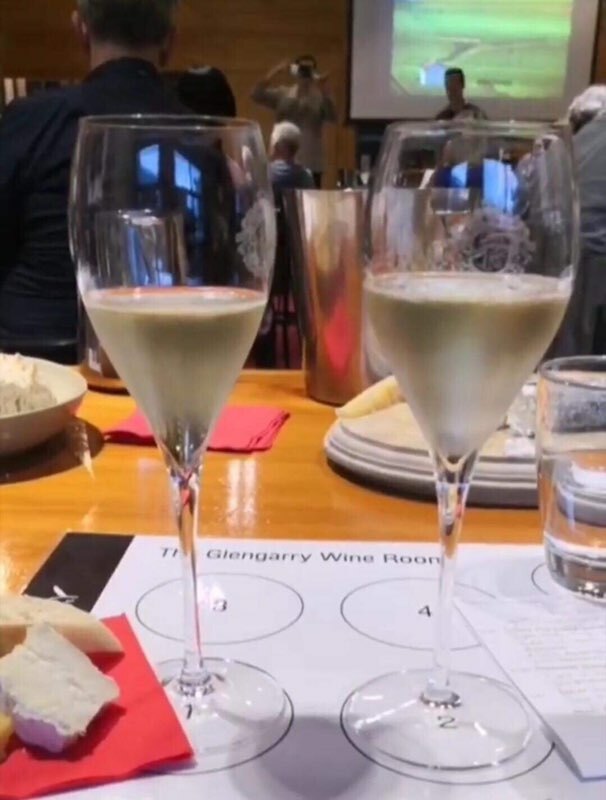 This wonderful tasting is an introduction to the Champagne region, how the wines are made, and a comparison of eight fantastic examples of Non-Vintage wines. This year the line-up went from Chardonnay through to the richer Pinot Noir dominated cuvées. We also looked at a mix of Grower and small houses as well as the famous Grande Marques. Starting with three Blanc de Blancs (100% Chardonnay), the first two being rare 100% Grand Cru NV from the Cote de Blancs. Lilbert-Fils and Delamotte. The former is the smallest house we bring in, making a mere 27,000 bottles of this soft and delicate wine. For perspective, Moet & Chandon produces over 30 million bottles a year! 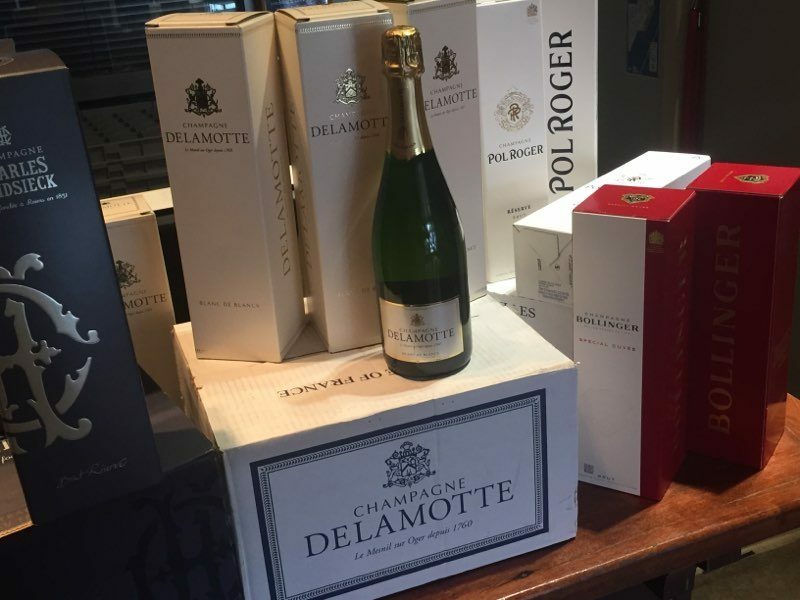 Delamotte is the small sister house of the famed Champagne Salon, they operate out of the same building with the same team of 14 staff. Like Lilbert, this beautiful wine is produced from the Grand cru Chardonnay villages of Les Mesnil, Oger, Cramant and Avize. Our final BdB was the Henri Giraud Blanc de Craie. This is a much richer example with the fruit coming from a different part of the region. 90% from the Montagne de Reims, which has a 200m-thick layer of chalky limestone (Craie). The wine spends twelve months in stainless steel before being blended with 10% Grand Cru Aÿ Chardonnay that has spent the same time in Argonne oak barrels. Sitting alone in style was the Pol Roger Brut Reserve. This Champagne is always the perfect example of balance, being made from 1/3 Chardonnay, 1/3 Pinot Noir, and 1/3 Pinot Meunier. The house has had the Royal warrant since Queen Victoria, and was recently served at the Weddings of the Duke and Duchess of Sussex, and the Duke and Duchess of Cambridge. 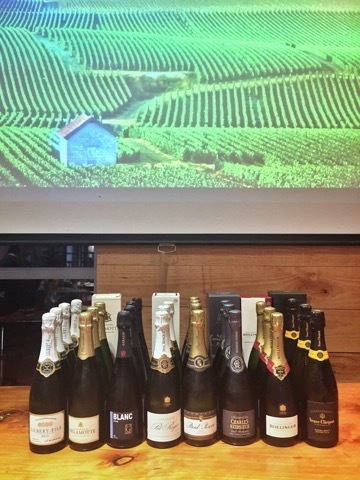 Next up was two very rich Pinot dominated Champagnes, Paul Bara Brut Reserve and the Charles Heidsieck Brut Reserve. The small family owned house of Paul Bara gets all his old vine fruit from the Grand Cru village of Bouzy, known as one of the greatest in the region for Pinot Noir. Unsurprisingly this wine is 80% Pinot Noir, with a massive 50% Reserve wine, giving it a fantastic deep dry richness. In a similar style is the Charles Heidsieck which is one of the most complex Non-Vintage wines produced in the entire region. This contains a little less reserve wine than the Paul Bara at 40%, but these go back over ten years. The current release is based on the 2008 base vintage, which means some of the wine in this is now 20 years old! The famous Bollinger Special Cuvee was up next. During her reign at the company (1941-1971), the expansive Lilly Bollinger put it thus: ‘I drink it when I’m happy and when I’m sad. Sometimes I drink it when I’m alone. When I have company I consider it obligatory. I trifle with it if I’m not hungry and drink it when I am. 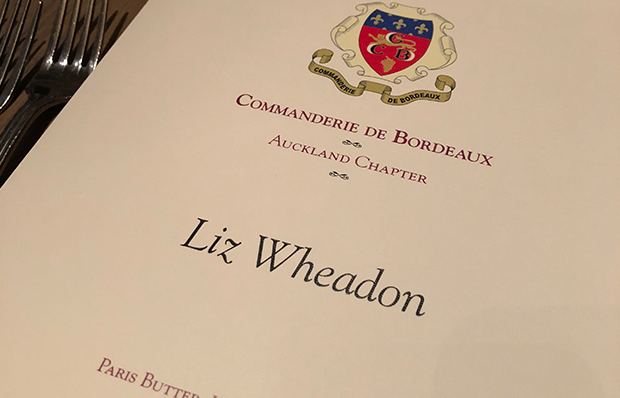 Otherwise, I never touch it, unless I’m thirsty.’ What makes this wine so special is the fact that all of the reserve wine is kept not in tanks, but in individual magnums under cork. They have half a million reserve magnums in their five kilometres of cellars, and they open 80,000 of them by hand each year for the Special Cuvee! As you would imagine this is consistently excellent. We finished with the Veuve Clicquot Extra Brut Extra Old. This is the driest wine Veuve has ever made at just 3g/l. The reason for this is that this is made up of 100% Reserve wines! The fruit is similar to the famous yellow label, 47% Pinot Noir, 27% Chardonnay and 26% Pinot Meunier. But it is a blend of 6 vintages 2010, 2009, 2008, 2006, 1996 and 1988. These base wines were blended, three years on lees in vats (5% oak), then three years secondary fermentation in the bottle. Despite the age of some of these wines, this is still very refined with a saline austerity and could be cellared for many years to come.